Making the community a better place takes work and and dedicated people. Membership to the Chadstone East Malvern Rotary provides opportunities for those willing to 'GET INVOLVED' to make a real difference to the lives of others. Our club is involved in a wide range of both local and international projects that require volunteers to keep things moving. Have you go a passion for starting projects that improve the welfare of the local community and the wider world? Projects start as an idea. Rotary provides the framework to turn that idea into a reality drawing from the various skills and strengths of individuals and network of over 1.2 Million members worldwide. 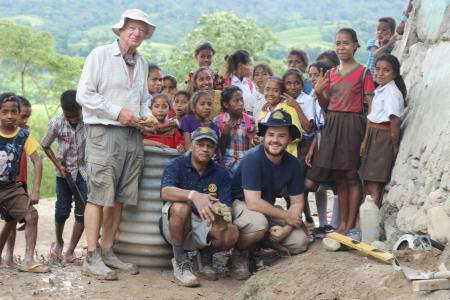 Whether you want to 'get your hands dirty' or just want to be part of something good, Rotary could be for you. Apart from the self satisfaction of 'doing good', getting involved can provide opportunities for personal and professional development. By taking on role within the club you can develop skills in project management, leadership, networking and public speaking. Chadstone East Malvern Rotary is a great place to meet new people and to form life long friendships through working together on projects or by attending some of our regular social events listed on our social calendar. 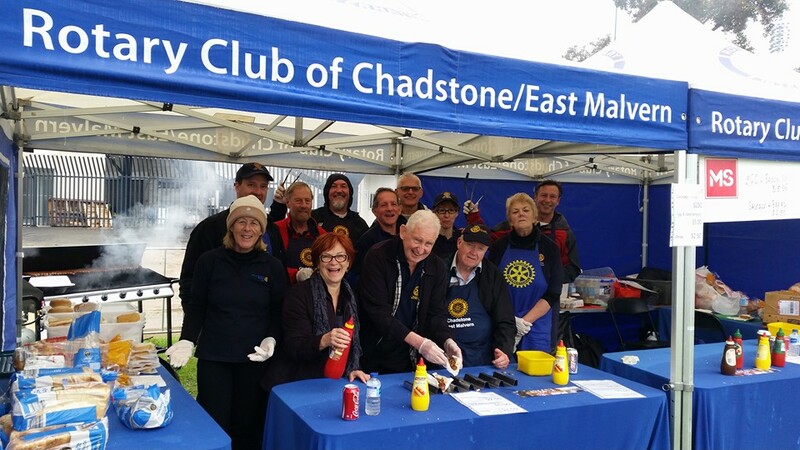 Chadstone East Malvern Rotary welcomes community minded people to GET INVOLVED in the projects and club fundraising activities. There are several ways that you can become involved in the work of Rotary. A Rotary Member or 'Rotarian' as they are known are ordinary people with the desire to not just exist within a community but be part of the community. We welcome new members and invite interested prospective members to our regular meetings to see what our club and Rotary are are about. If you would like more information about becoming a Rotarian of our club, please contact us. Do you live too far away or are you unable to make it to our regular meetings? You may find another club more suited to your needs. Visit our Rotary District Club Finder. Chadstone East Malvern Rotary understand that some people may not be able to, for various reasons be able to commit the time or money that is required to be a Rotarian. Becoming a friend of Rotary allows non-Rotarians to remain or become connected with the Club and to become involved with and support our activities. Please contact us if you are interested in becoming a friend of Rotary. If you would like to learn more about Chadstone East Malvern Rotary and its various service projects, please contact us and we will be pleased to welcome you at one of our meetings.